Once imported goods have arrived into store enter the individual Landing Charges onto a special section of the Purchase Order. 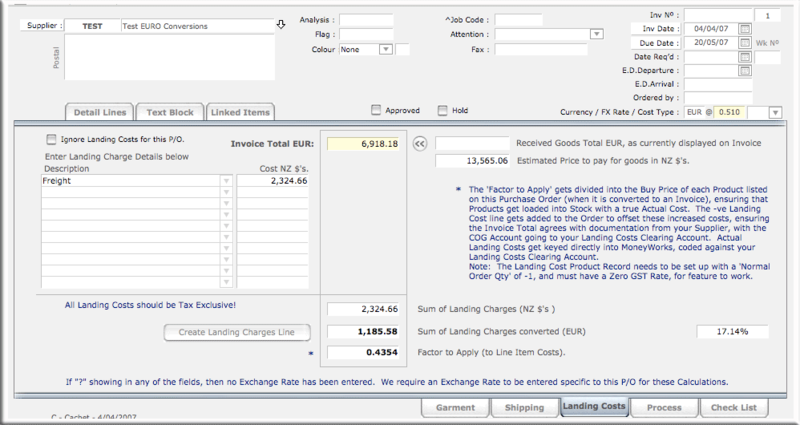 Click a button to spread these landing related charges over all lines on the Purchase Order ensuring your stock is valued as accurately as possible with the minimum amount of effort from the user. These charges can be spread over the lines based on units, weight or volume, and also apply any currency conversion requirements, ensuring items in stock reflect a true landed cost.